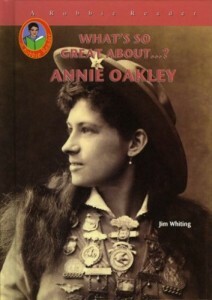 Annie Oakley overcame a difficult childhood to become a world-famous shooter. Annie was proud of her accomplishments. Because she knew that many women looked up to her, she always set a good example for them.